Tuesday morning (just 3 days after running the Wild Hare 50 miler) I got ready for work in the morning, hopped down the stairs at my place, and jumped into my car heading to my first appointment for the day. It wasn't until I was turning into the parking lot for my appointment that it dawned on me....nothing hurt. No muscle pain at all that morning. WOW! I have been thinking about it since, and trying to figure out what went right in my recovery. Granted, I haven't run yet - I will be jumping back into the deep end tomorrow morning with a long road run with friends so I am sure I will uncover a few kinks there, but as far as for everyday tasks - zero pain. Pumped up? No. Strong and healthy? Yes. I am a big believer in the importance of a quick recovery. When I am at my high points in training and during race season, I take this very seriously. 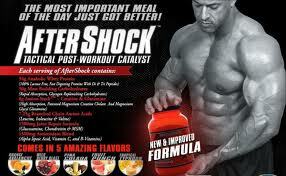 Aftershock has the most bang for the buck - from muscle to joint recovery. Gotta take care of your moving parts if you expect them to cooperate. If you live in the Acadiana area, call Smoothie Factory (by Jason's Deli) - 337-989-7001, and ask to speak to Rusty. He is a great local resource for all things sports nutrition and he will get you on the right track. BUT - just FYI - the label says use two level scoops - I only use this much when I am doing really high mileage, otherwise I only do one scoop after workouts of an hour or more, but I weigh 110 lbs, so use your judgement on this one - or better yet - ask Rusty. Because I try to surround myself with people who are smarter than me (it's surprisingly easy), I often get very good tips that I never would have figured out on my own. This one came from Dr. Keith Terro with Abshire Chirporactic. Keith has kept me healthy throughout my ultra "career". He is a master at Active Release Therapy - basically making a stubborn muscle or tendon cry "uncle", and getting things functioning again. 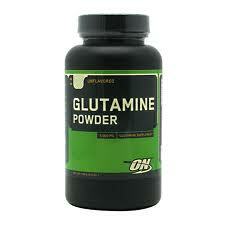 One day while he was torturing me - I mean fixing me - he suggested adding a teaspoon of Glutamine powder to my diet a couple of times a day to speed muscle recovery. This powder is tasteless, but a bit gritty. I add it to my recovery smoothie (details on that below). I think the combination of this and the Aftershock have been the magic elixir for me. Something new I have added to this season that I was skeptical about in the beginning, but have turned into a believer is soaking in a bath with Epsom Salts. This always brings to my mind a little old lady soaking her feet in a tub of hot water. No idea why. When I first started marathon training, I did the ice bath thing. I completely understand and agree with why this is a good idea for athletes - inflammation, etc., etc. 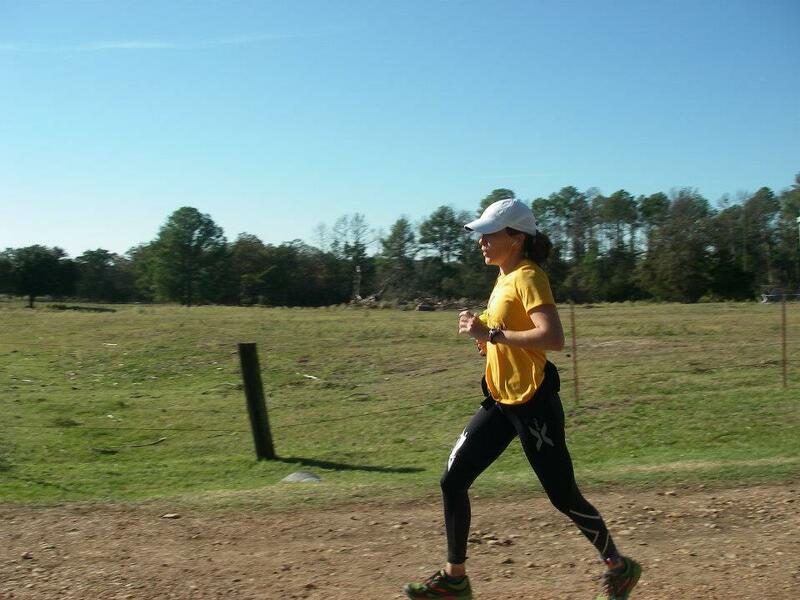 BUT - the problem is that after a while, I came to the conclusion that I had suffered enough during my long runs, and I refused to submerge myself in ice water. It was just not going to happen, no matter how much is was supposed to help. For those of you who are mentally tough enough to withstand this insidious form of recovery, my hat is off to you. I am a big wimp when it comes to cold. 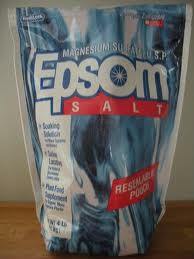 So, when a friend told me that his massage therapist recommended soaking in a WARM bath with Epsom Salts after his massage to aid in muscle recovery, I decided to give it a try. Whether it is mostly mental, or if there is some science to it, this really seemed to lessen the soreness in my legs. It is the combination of these things after Cactus Rose 50 and the Wild Hare 50 that I think have helped me to heal so quickly. One week after Cactus I ran a 15 miler on the road with no issues, and I am ready to run long tomorrow, one week after Wild Hare. Do I anticipate some kinks to be revealed? Yes. It's one thing to be able to walk around without pain, but reintroducing pounding to my body will show me where there is still some damage. But, I have a road marathon (hard packed dirt, actually, but pretty much the same thing) in about a month which will be my last long run before the Bandera 50k, which will be one of my last long runs before the Rocky Raccoon 100 miler in early February. This is all of the time I can afford to take off, which is why speedy recovery is the key during my race season. Well, hopefully some of these tips will help you. I suspect some of the rapid recovery time can be attributed to training and the fact that this is my third season doing ultras, but I have no doubt that all of these things contributed. Maybe they will work for you too.